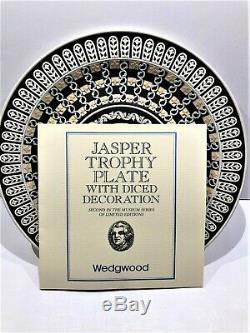 1978 WEDGWOOD JASPERWARE "MUSEUM SERIES" BLACK, WHITE AND CANE ORNAMENTATATION AFTER AN ORIGINAL 19TH CENTUARY DESIGN... 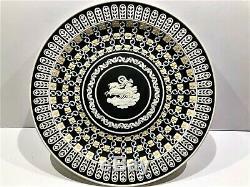 PLATE HAS BEEN ON DISPLAY FROM 1980 UNTIL 2003 IN THE LARGEST GALLERY OF COLLECTABLES IN HOUSTON, TEXAS. 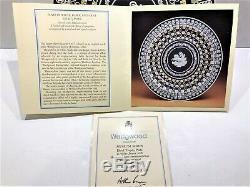 84 WITH ORIGINAL COA IN A LIMITED EDITION OF ONLY 500. 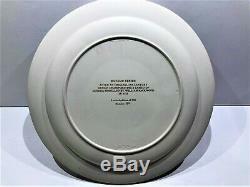 PLATE COMES WITH THE ORIGINAL "COA". 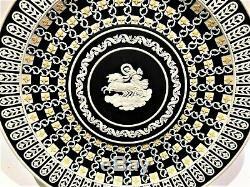 THIS JASPER PLATE IS BASED ON AN ORIGINAL, MADE AT THE WEGWOOD FACTORY OF ETRURIA, C. THE PATTERN, IN WHITE, BLACK AND CANE JASPER, SHOWS SKILFULLY INCISED DICING INTO THE BODY - A UNIQUE DECORATIVE EFFECT ACHIEVED BY AN ENGINE-TURNING LATHE DEVISED BY JOSIAH WEDGWOOD IN 1763. 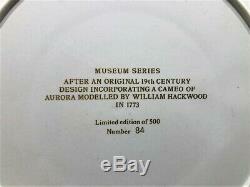 THE CENTRE CAMEO OF "AURORA", THE CREEK GODDESS OF THE DAWN, WAS MODELLED BY WILLIAM HACKWOOD IN 1773. THIS PLATE WAS TOTALLY MADE BY HAND WITH ONE MASTER TURNER AND HIS ASSISTANT. 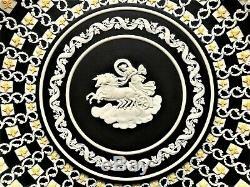 THIS PIECE IS FOR THE SERIOUS COLLECTOR WITH UNIQUE TASTE OF HIGH QUALITY. 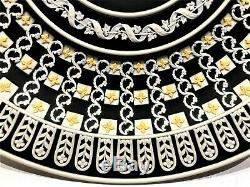 INTERNATIONAL BUYERS WAIT FOR YOU TOTAL INVOICE PLEASE. 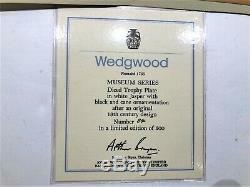 1978 Wedgwood Jasperware MUSEUM SERIES DicedTrophy Plate- #84/500 with COA" is in sale since Monday, February 18, 2019. 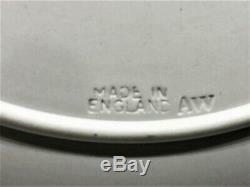 This item is in the category "Pottery & Glass\Pottery & China\China & Dinnerware\Wedgwood". 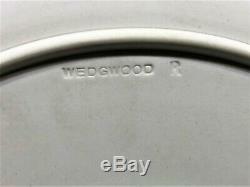 The seller is "edward246845" and is located in Magnolia, Texas.